Emeritus Professor Dato' Dr Hashim bin Yaacob was a professor at the Faculty of Dentistry for 22 years. 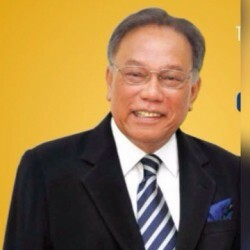 He began serving the University of Malaya in 1975 and retired in 2008. He was Visiting Professor and external examiner in Dentistry to USM, UITM and MAHSA Universities. He was conferred the Emeritus Professorship honour by the University of Malaya in 2015. Scaling, Polishing, Curettage, Periodontal Surgery. Mouth diseases e.g. Ulcers, Cancer, Lumps and Bumps, Discolourations, Pain. FRCPath(UK), FDSRCS(Eng), FDSRCPSGlasg, FASc(Malaysia), MIBiol, CBiol (UK), MSc (Lond), BDS (Otago), Diploma Islamic Studies (IIUM).